Cystic Acne Kit for women that are ready to stop wasting time and money on acne remedies that don’t work. Become radiant & carefree about your complexion. What these women did differently to finally get clear skin is they stopped trying to put the puzzle pieces together alone. I have a feeling you are still at that stage. You're trying to get clear skin on your own but are constantly left feeling disappointed because nothing seems to be working. You've tried all the drugstore acne products, dermatologist prescriptions, Accutane, DIY remedies, clear skin diets...basically #allthethings. The key to success though is to stop over-complicating your skin issue by going at it alone. Let me help guide you. STEP 1: Select a kit at the top of this page. Options: face kit, body kit, or face & body kit. STEP 2: Use your Luminosity kit products daily & follow the clear skin guidance I provide in the kit manual. STEP 3: Admire your new beautiful healthy clear skin. This is the part where you stop obsessing over your acne and just enjoy life. Why do I need the kit manual? This PDF kit manual is packed with all the acne clearing information that my local clients receive so even though you won't be able to come to my acne office, you'll still get all the info you need for clear skin. It will be just like I'm there with you every step of the way, no more going at it alone. You'll have instant access to download the kit manual as soon as your kit is ordered so you can dive right into it while you wait for your acne products to arrive. And did I mention that I sell the manual separately for $75? BUT it's FREE with all kit purchases! Here's a preview of what's in the kit manual. My simple trick for staying motivated during the clearing process. This trick will keep you focused on your goal and ensure that you stick to doing your skincare routine daily. Learn the REAL cause of acne. With so much misinformation out there it's easy to get confused and wonder why you're the only acne-prone one in your squad even though you're more faithful to your skincare regimen than they are and eat better than they do. Discover which foods aggravate acne therefore need to be eaten in moderation. But don't fret! I've listed just as tasty acne-friendly alternatives. Find out which 4 supplements I recommend to help you clear up easier. These supplements are optional but can really help you along the way. On the flip side, find out which 3 supplements you should AVOID because they will wreck your skin. One of these supplements is constantly promoted for acne-prone skin but it does more damage than good! EEK! Discover which birth control pills make acne worse and which ones are acne-friendly. Sidenote: you don't need birth control for this program to work, but many of my clients are on the pill so it's good information to have. Stop wasting money on makeup that is loaded with pore cloggers by using my List of Pore Clogging Ingredients to Avoid to vet products before you buy them. Learn the 4 most common obstacles you'll encounter on your way to clear skin. After successfully treating acne for close to a decade, I've noticed 4 main obstacles that pop up for all my clients. Knowing them ahead of time prepares you to recognize them and overcome them so you can continue on toward clear skin. Discover my 4 secrets to making benzoyl peroxide work for you. 99% of people make the same 4 mistakes with their benzoyl peroxide so it's no wonder they think it doesn't work. But when you correct these simple mistakes, your skin will clear up beautifully. Discover my trick to healing painful, inflamed pimples fast. The best part is that this trick uses something you already have in your house. Learn how to stop acne from adapting to your products. Ever have the experience of trying a new product and at first it's working but after a few weeks your acne comes back? That's because your acne adapted to your products. I'll show you how to avoid this. Most importantly you'll get the exact same instructions that my local acne office clients get when it comes to using the skincare products. You'll know the sequence of your product routine, how much product to use, and how often to use them. These instructions are not available when ordering individual products, they are ONLY available in this kit manual. This section of the manual is where the real magic is. You can't just slap on acne products and hope for the best. You have to follow a specific protocol which I outline for you here. Now that you're clear and glowing, it's time to talk about how to maintain your results. Maintaining your beautiful skin is so easy! You deserve to feel beautiful. Try my acne kit and take a big step toward clear skin and become radiant & carefree about your complexion. Or continue doing what you've always done and continue waking up to new breakouts and frustration. To get something different, you have to try something different. So if you're ready to stop over-complicating your skin issues and finally put your acne in the past, just scroll back up to the top of this page and select a kit that best fits your needs. Q: I am allergic to benzoyl peroxide. Do you offer an alternative product? Unfortunately those that are allergic to benzoyl peroxide will not be eligible for any of my acne programs or kits. This is because benzoyl peroxide is irreplaceable in the fight against acne. My clients must be able to use benzoyl peroxide daily to get results. Q: What additional investments do I need to make? Q: Will your kit cause dry skin? I don't want my skin to dry out. Yes, this kit will cause dry and flaking skin for a majority of clients. This is a normal part of the clearing process and all effective acne products dry out the skin, not just Luminosity products. Part of the flaking skin you see is due to exfoliation. If you are not comfortable with dry or flaking skin then this kit will not work for you. If you invest in the kit, but back off of your products or skimp on how much you use them in order to prevent dryness from occurring then your skin will not clear up. My most successful clients have the mindset that they would rather have temporary dry skin than a lifetime of acne. Most do find that the level of dryness is tolerable but that is subjective to each individual. Further, if you have non-Caucasian skin, please click here to read this important message regarding the potential of hyperpigmentation from dry skin (or from rubbing or scrubbing dry skin). This hyperpigmentation can occur from ANY acne product that is overly drying to the skin, not just Luminosity products, however most dermatologists, estheticians, and skincare bloggers do openly discuss this. Q: I have blackheads, comedones, and non-inflamed lesions. Will your kit clear this type of acne? Cystic Acne Kit will only address inflamed pimples and cysts. If you have blackheads, comedones or general non-inflamed acne then you should purchase the Blackheads & Closed Comedones Kit or join my office acne program in North Carolina. This office program is for local clients that can come into our office for a chemical peel and extractions every 2 weeks for approximately 3-4 months. To learn more about becoming a local office client, click here. If you aren't sure if you have inflamed or non-inflamed acne then please email us an in-focus, close-up, and makeup-free photo of your acne. Email it to info@LuminositySkincare.com and type in Kit Question in the subject line. Q: I only get premenstrual breakouts. Will this kit help with that? My products and kits are designed for acne-prone women that breakout on a regular basis and not just before their period. If you only breakout premenstrually, this kit is not ideal for you. Q: I am pregnant. Can I still purchase a kit? We ask that if you are pregnant that you wait until you finish breastfeeding to purchase a kit. Pregnancy and breastfeeding creates hormonal shifts can interfere with the success of this kit. Q: How long will it take to get clear on your kit? I find that most clients will be clear in about 3-4 months, however some that have resistant acne can take longer than this. Those that don't follow the program exactly as outlined will not achieve clear skin. Q: Are results guaranteed on your acne program? While I have a high success rate in the clearing of acne, I cannot make any guarantees for results. This is because there are so many factors out of my control such as the client's level of commitment to the program, genetics, diet, lifestyle factors, hormonal issues, medical conditions, prescribed medications, etc. Q: Which program should I invest in? This Kit or your local office program? There are several deciding factors when it comes to selecting which of our programs is best for you. To compare all options and make the best decision, click here. Because of the nature of the material presented in digital format (kit manual), and the success of this program largely dependent on client adherence to the guidelines presented, refunds are not offered. Please make sure you are absolutely ready to commit before making any purchases. Q: Do I have to purchase a kit manual separately? 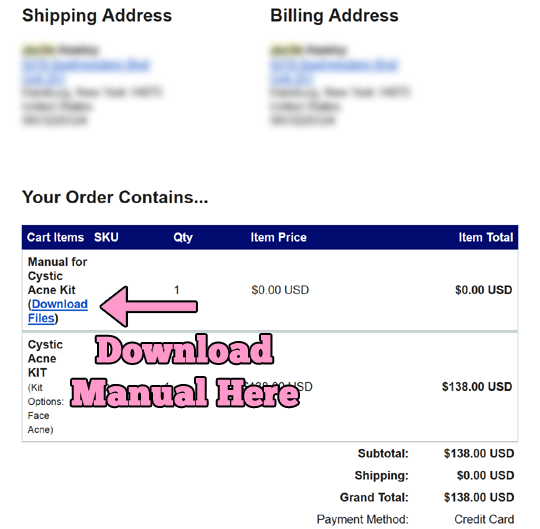 No, you do not have to purchase a kit manual separately. This kit includes a FREE pdf manual which you will have access to immediately after your purchase. Q: How do I access the manual after I purchase a kit? YOUR PURCHASE OF A KIT OR ANY PRODUCT IS CONSIDERED ACCEPTANCE OF THE ABOVE TERMS. I live in Canada and found out about Luminosity and Carmen through MULTIPLE acne solution searches on the internet. I felt hopeless and could not see myself ever becoming clear of acne and thought my life would be steered by my relentless hormonal adult acne. I had spent money, time and tears on trying to clear my acne for good. I found Carmen on youtube and instantly thought she was smart, caring and organized. I looked into the cystic acne program, and even though it seemed like a lot of work (disclaimer: It's not!!) and I didn't live anywhere near the clinic, I decided I was committed to getting clear skin. I received the kit as well as the booklet and my life has been forever changed. Carmen's layout for the program, her encouraging manner and the step-by-step booklet with the lifestyle factors (and even prepping you for hurdles you will hit!) were exactly what I needed to access the motivation to get my skin clear. I am only 2 1/2 months in and have already seen such a difference. It's amazing. I am constantly getting compliments on my skin (which has never happened in my adult life). 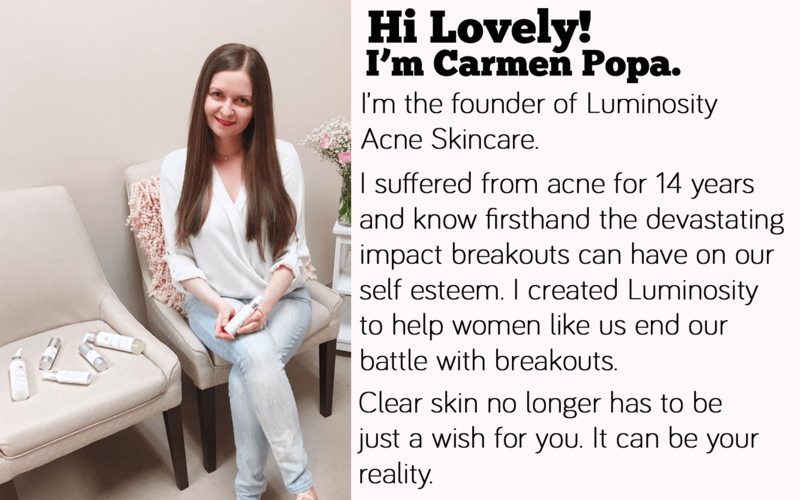 I seriously wish I could hug Carmen and really do feel that having clear skin gives me so much confidence in my social life, in my career and the pain of having cysts and raging outbreaks is over. I definitely have exxxxtremely sensitive skin and this program was a little drying when I went full tilt with the BP but I got in there with the opulent moisture cream and it was totally fine and also didn't last too long. One thing was that the packages arrived with a little damage. The first package was soaked and the second one there is a piece of plastic broken on the cleanser pump. Nothing to really damage the products but it could have easily been worse. A bit more cushioning in the packaging and waterproof material for sending would be imperative for the long travel some of these packages have to take. I do see this product really taking off on a worldwide scale so that's just a thought for packaging/delivery. Thanks Carmen for this amazing program! I can't say enough good things about this kit! I loved seeing all the changes my skin was going though week by week. Everything seemed to get smoother and smoother. I read the manual 3 times before starting the products because I wanted to be certain I wasn't missing anything important because I felt like this was my last shot at clear skin. I love all the products I've used but my favorites are probably the cleanser and mandelic serum. It's also nice to have a sunscreen that works with my skin and I know won't clog my pores too. I first started breaking out when I was 23 years old and I feel like I've tried everything available to clear up my acne and nothing has worked (I'm 31 now). 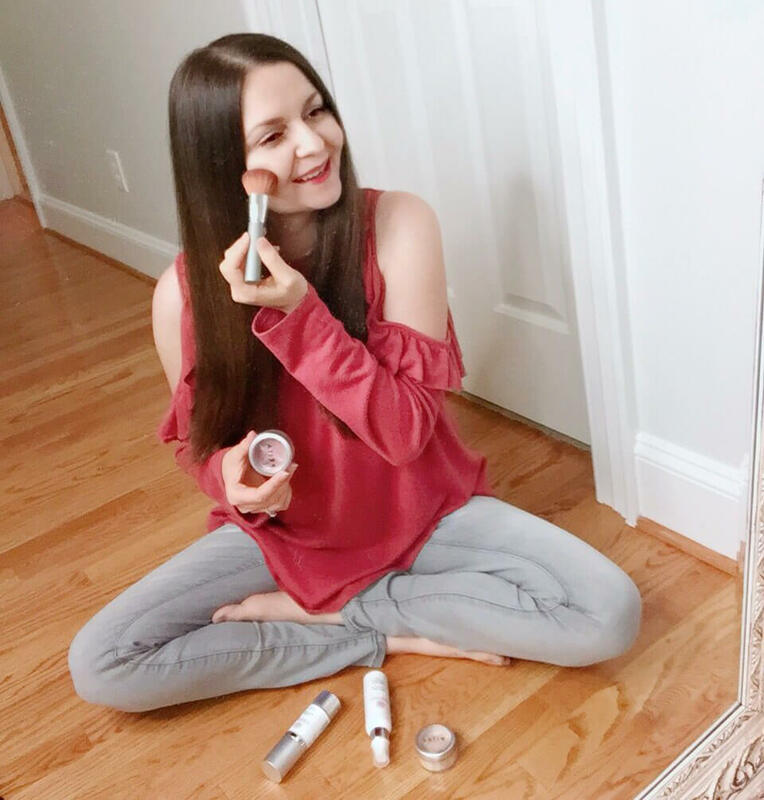 I came across Luminosity Acne on Instagram and despite not having any luck in the past with acne products, I just felt like this time things could be different. It was just a feeling I had. I committed myself to giving the kit a 6 month shot. Carmen says it only takes 3-4 months to get clear, but I wanted to give myself the extra months time just in case. Well let me tell you that by the 2nd month my skin was mostly clear but I still had a little more ways to go. I would have been so happy with half of this improvement so I was very excited for how my skin would look in another 1-2 months. Each week was so exciting because I could see more and more clearing. I did clear up finally around month 3. Besides smoother skin without breakouts I also noticed my red marks decrease dramatically which is so nice because now I wear half the makeup I used to. There was some dryness my skin experienced but I just followed the instructions in the manual on how to lessen it and it was fine. Overall I'm so happy that I tried out the kit and I would recommend it to anyone that has acne. Oh also make sure that you take photos of your skin at the beginning to see how your skin changes over time. I am still amazed when I look back on my photos. After just 1 month on the Luminosity Acne kit I could see a dramatic difference in my skin. My pores were clearer, skin softer, and pimples were occurring less and less. It took me about 3 and a half months to get completely clear. This kit was just perfection for me!! Sometimes I'm still stunned that my skin is actually clear. I found Carmen on Instagram and found her acne posts really educational so I had HIGH hopes for her kit. I was even more amazed at all of the additional information the kit manual had. I love how she laid out the instructions for the products and her approach is really unique and different from any other regimen that I've been on. It's been about 2 months since I started the kit and my skin is about 90% clear so I'm almost at the finish line! I hope to be in the maintenance phase in a couple more weeks. I highly recommend this kit and Carmen's instructions to anyone that is dealing with breakouts and pimples.